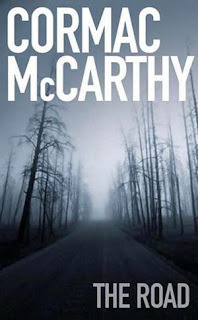 One way or another, the majority of the population will by now have come across American author Cormac McCarthy's hugely successful post-apocalyptic novel The Road, whether you have read it or not. In 2007, The Road won the Pulitzer Prize for Fiction and in 2009 The Road hit the big screen as a major film featuring actor Viggo Mortensen. 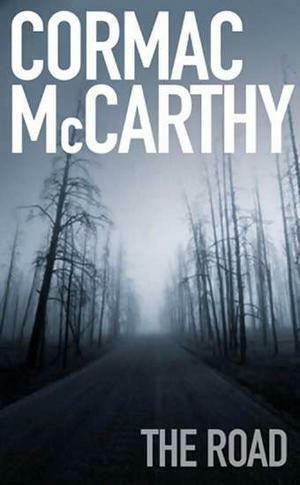 When a book gets too trendy it turns me off a little, but it's clear that The Road has now become an American classic and received much acclaim from all over the world. I knew I'd have to face it sometime, and now I have. What is clear from early on, is that the two main characters aren't assigned names; they are instead referred to in the narrative as: they, the boy, Papa, he, we, us etc. Also absent from the book are any quotation marks to denote dialogue. These two writing devices alone create a lean writing style in keeping with the post-apocalyptic setting the father and son find themselves in, the cause of which is never fully explained. The situation is grim, starving in a land of ash, but the boy's pure heart add simple beauty to the page and balance the devastating story of survival. I can understand why so many readers were touched by The Road, and furthermore why it has been embraced by environmentalists as a moving example of what could happen if we continue to treat the planet with complete disregard. The thought is horrific. For me though, it was a good read, but it didn't change my life, or influence me to go and buy copies for all of my friends and family. I'm looking forward to watching the movie now though and am interested to hear your thoughts. Have you read the book or seen the movie? What did you think? Did The Road deserve the Pulitzer?